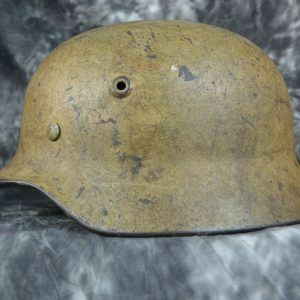 These are some of the more unique World War 2 German helmets that are or at some point were part of my collection. 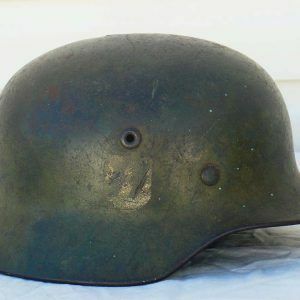 The mint M35 German helmet was brought back by a US Vet. The decal, paint, liner, and chinstrap are fine examples. 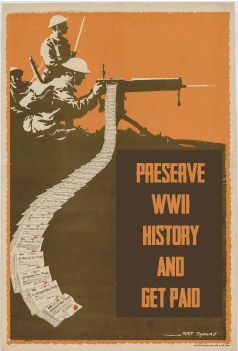 It is a WW2 time capsule and does not show wear or age. 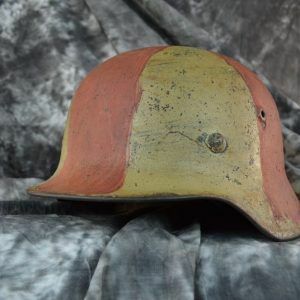 The WWII German medic helmet is another rare find. Ninety nine percent of medic helmets on the World War II market today are reproductions. This one comes straight from the Vet’s family. The Vet’s son, a retired Wisconsin school principal had been keeping it in storage and decided to sell it for preservation. 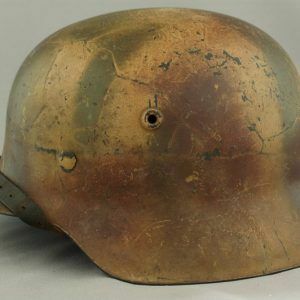 The World War 2 SS German helmet was found in Cedar City, Utah. 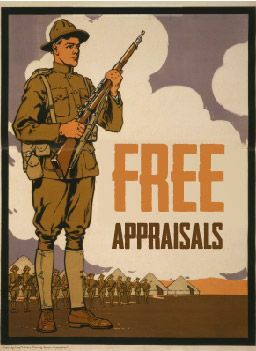 It’s a nice example and definitely shows wartime usage. It was a nice discovery so close to my town of Riverton, Utah. The World War II Kriegsmarine is a rare version as it is covered with whitewash. 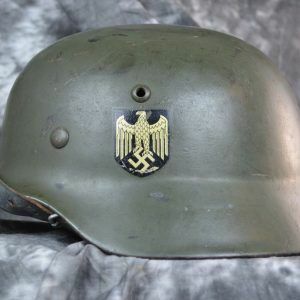 Most Kriegsmarine helmets never had this addition. Whitewash is used as a snow camo that is used in wintertime combat and then washed or scraped off in the Spring. The WW2 Normandy camo was a purchase from a fellow collector a few years ago. It was a barn find and was covered in dirt when it was found. When the collector got it home and cleaned it, he found this beautiful tri color Normandy pattern. The WWII helmet at one time had chicken wire to add foliage to, but has since been removed. 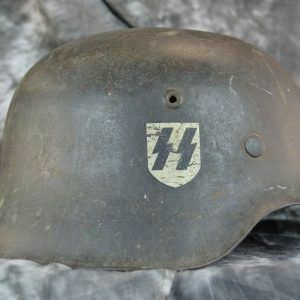 The SS camo helmet was a kill trophy from a US Vet that was brought back after World War 2. 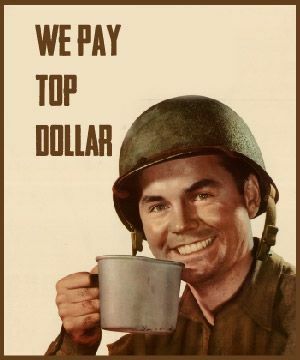 It had sat in a closet shelf for sixty years, before the WWII Vet’s grandson decided to sell it and let others appreciate it. 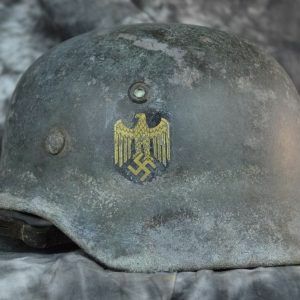 The SS helmet has seen action in WW2. The decal has some marks, but does not detract. 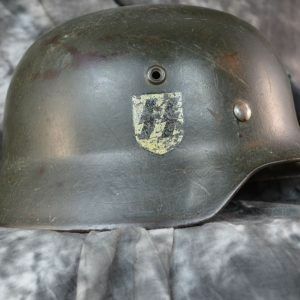 SS helmets are one of the more desired helmets for WWII collectors.